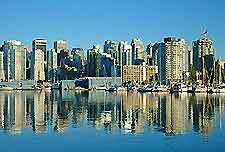 Canada's second-busiest air facility is Vancouver International Airport, an impressively contemporary hub serving this vibrant Canadian metropolis and British Columbia province. More than 17 million people fly through Vancouver's airport annually, on dozens of global carriers that service destinations across the world. There are three terminals based here, although the Domestic and International terminals are essentially one building divided into international and domestic wings. Vancouver Airport frequently wins awards for style and efficiency, and all of its concourses boast impressive options for eating, shopping and general refreshments, as well as other useful travel services. The Fairmont Vancouver Airport Hotel, known for its stunning views and business facilities, is located right at the terminal. Wireless Internet, baggage carts and everything from spas to health-care centers and VIP lounges ensure that passengers have plenty of distractions while waiting for their flight. 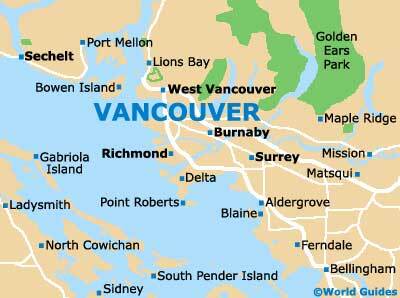 Located just 8 miles / 13 km south of downtown Vancouver, this airport is easily accessible to drivers from any part of the metropolis thanks to a variety of direct highway connections. The city's main highways connect Vancouver International Airport to other parts of the city, making it easy for drivers to get here from anywhere in the area. Over 500 licenced taxis work onsite 24 hours, using meters to accurately calculate fares into Vancouver. Town cars and limousines are also available for a touch of class. Many of the city's best hotels offer complimentary airport pick-ups for their guests. Aeroshuttle, which runs frequent trips from the airport into downtown, connecting most of the hotels, is an alternative. Long-distance coaches arrive here from popular resort spots like Whistler and Vancouver Island. A new rapid transport link whisks travelers from the airport to downtown Vancouver and downtown Richmond in under 30 minutes. The Canada Line is a convenient and affordable way to get to and from both the city and surrounding destinations - in style.